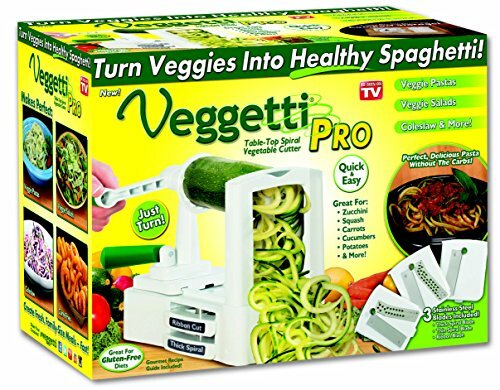 What I love about summer is the abundance of produce that we get from our garden, which allows us to not only save money, but also eat healthy, fresh produce all season long. 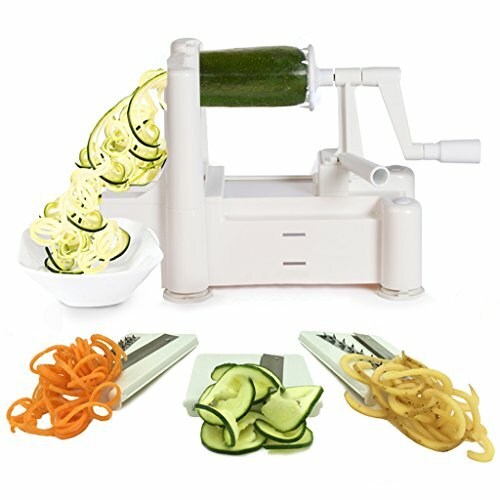 And because we always have an abundance of zucchini, I have been searching for plenty of spiralized zucchini recipes. 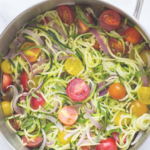 Below are some really popular spiralizer zucchini recipes that will give you plenty of creative ways to not only prepare zucchini, but eat healthy all summer long. 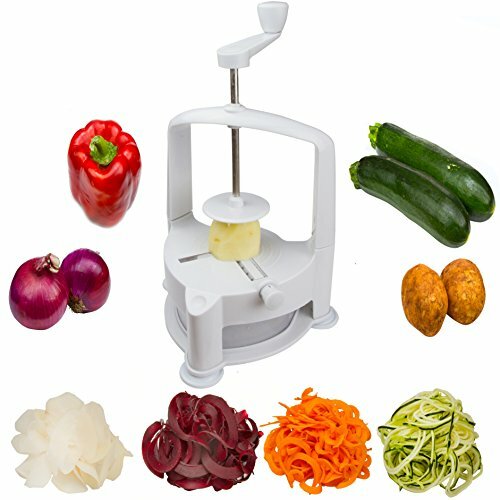 Are you looking for a spiral vegetable slicer? 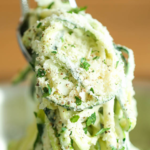 This zucchini alfredo recipe from Damndelicious.net is a nice change from traditional alfredo made with pasta. 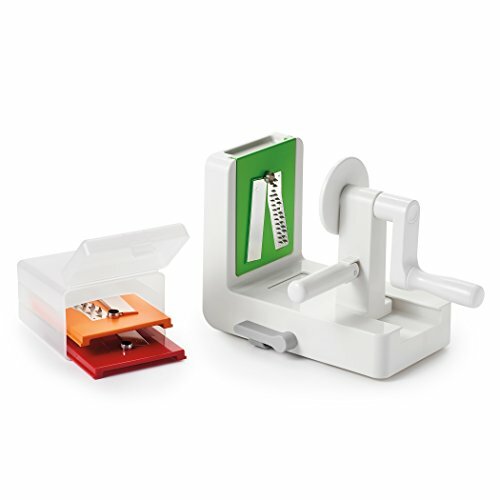 Not only is this recipe lower in calories and carbohydrates, it is also one of those recipes that calls for common staple ingredients that you may already have on hand. 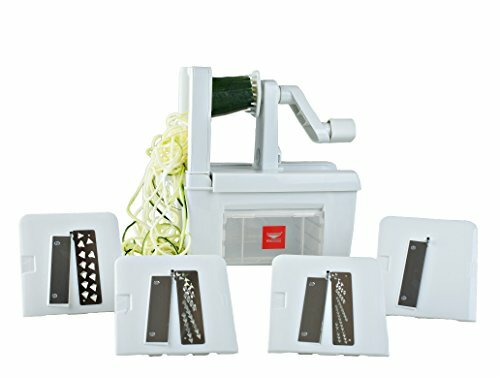 “Zoodles” are what you get when you turn zucchini into noodles. 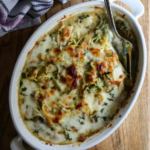 And this french onion zoodle bake will really make you appreciate having a spiralizer. And even better, this recipe does not call for packaged french onion soup but instead the ingredients to make it from scratch. 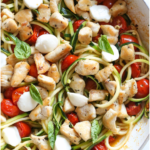 And like the zucchini alfredo, you may already have most or all of these ingredients on hand. 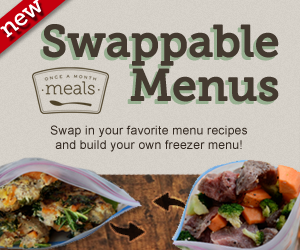 This recipe is not only low calories and delicious, it is also easy to adapt. For example, it calls for grape tomatoes but I used cherry tomatoes since I prefer them, not to mention they are always plentiful in my garden. This recipe is also a great way to use up leftover cook chicken breast. 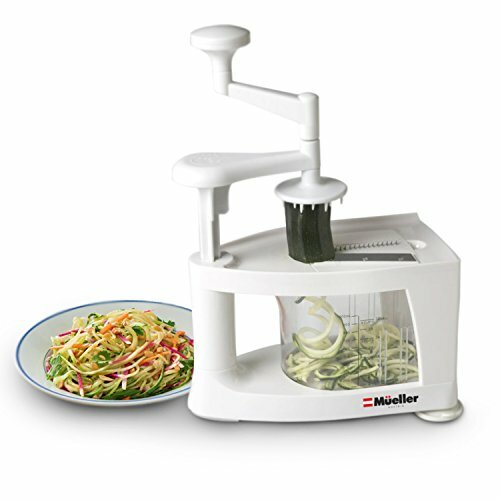 This is another light and delicious way to use up an abundance of zucchini and other herbs and vegetables from your garden. It calls for just a few ingredients and cooks in just a few minutes. And best of all, you cook it all up in one pot! 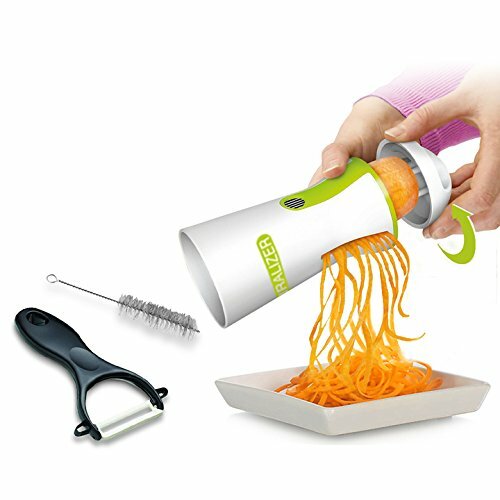 How about a zoodle recipe with more of an asian flair? 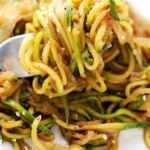 This stir fry zucchini noodle recipe combines zucchini noodles with soy sauce, teriyaki sauce and just a few more ingredients for a quick and easy stir fry. 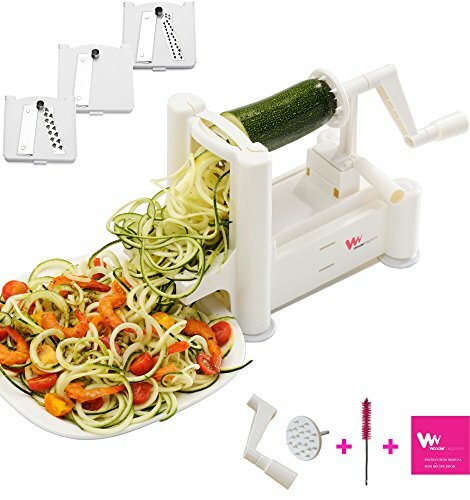 Whether you are trying to cut back on calories or carbs, or perhaps you are following a gluten free or grain free diet like paleo, using a spiralizer is not only a great way to use up an abundance of zucchini and other vegetables, it also allows you to create simple and delicious meals that are also healthy.